Advisor to United States President Donald Trump Ivanka Trump on Wednesday concluded her three-day trip to India by visiting the iconic Golconda Fort here. 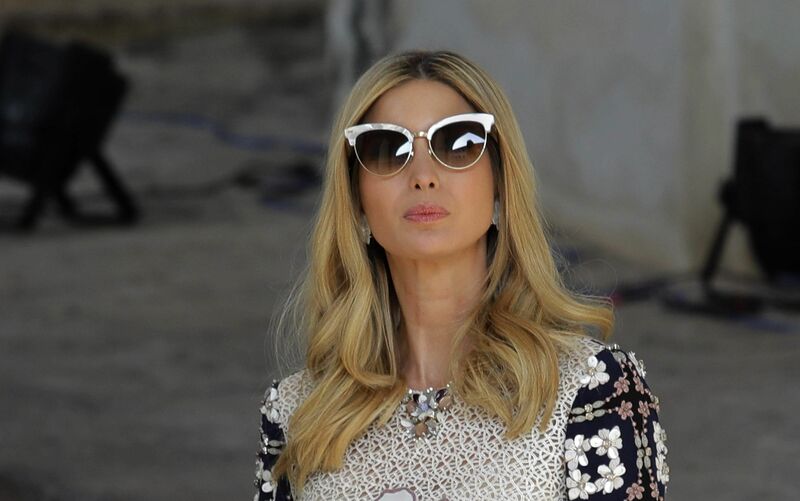 HYDERABAD: Advisor to United States President Donald Trump Ivanka Trump on Wednesday concluded her three-day trip to India by visiting the iconic Golconda Fort here. 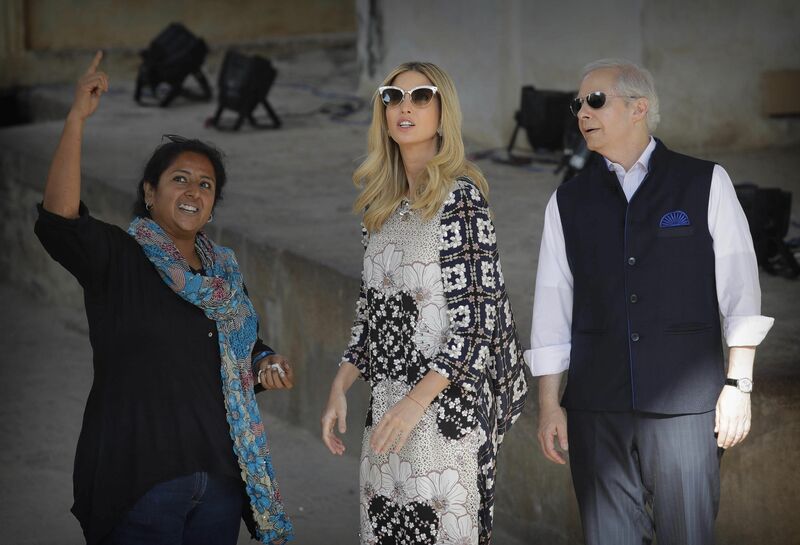 Ivanka, who posed for shutterbugs there, was taken on a guided tour of the fort, and was accompanied by India’s Ambassador to the United States, Navtej Sarna, and others. An elated Ivanka, who was here to attend the Global Entrepreneurship Summit, said the visit to the fort was a “great way” to conclude the trip. “It feels amazing to be here at Golconda Fort. It is an unbelievable end to a fantastic two days. The conference and summit were phenomenal. Prime Minister Modi and the cabinet members who were with him were incredibly warm and gracious. Was overall a very special experience,” she said. Earlier in the day, President Trump's daughter had said technology held immense potential in the present scenario to help women entrepreneurs grow in both - their personal and professional lives. "Technology offers a tremendous opportunity to women entrepreneurs, and we are seeing that in terms of the explosive global and domestic growth," Ivanka Trump said, while addressing the plenary session on the topic 'We Can Do It! Innovations in Workforce Development and Skills Training' at the 8th edition of the Global Entrepreneurship Summit (GES), here. On a related note, Golconda, derived from Gol konda ("Round shaped hill"), or Golla konda, (Shepherds Hill) is a citadel and fort in southern India and was the capital of the Qutb Shahi dynasty (c.1518–1687). It is situated 11 kilometres west of Hyderabad, and is also a tehsil of Hyderabad district. Golkonda Fort was first built by the Kakatiya dynasty as part of their western defenses along the lines of the Kondapalli Fort. The city and the fortress were built on a granite hill that is 120 meters (480 ft) high, surrounded by massive battlements. The fort was rebuilt and strengthened by Rani Rudrama Devi and her successor Prataparudra. Later, the fort came under the control of the Musunuri Nayaks, who defeated the Tughlaqi army occupying Warangal. It was ceded by the Musunuri Kapaya Naidu to the Bahmani Sultanate as part of a treaty in 1364. During the reign of the Qutb Shahi dynasty, the mud fort was expanded by the first three Qutb Shahi sultans into the present structure, a massive fortification of granite extending around 5 km in circumference. It remained the capital of the Qutb Shahi dynasty until 1590 when the capital was shifted to Hyderabad. The Qutb Shahis expanded the fort, whose 7 kilometres (4.3 mi) outer wall enclosed the city. The fort finally fell into ruin in 1687, after an eight year long siege leading to its fall at the hands of the Mughal emperor Aurangzeb. The region is known for the mines that have produced some of the world's most famous gems, including the Koh-i-Noor, the Hope Diamond, Nassak Diamond and the Noor-ul-Ain.